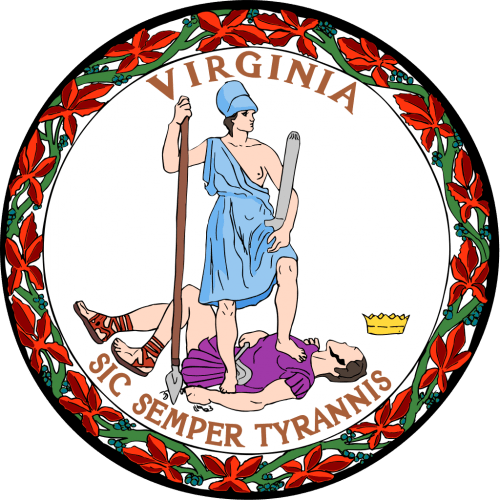 Governor Terry McAuliffe today announced 12 Virginia companies were selected to participate in the Virginia Economic Gardening Pilot Program (VEGPP). The VEGPP, administered by the Virginia Economic Development Partnership (VEDP), targets second-stage companies. These businesses are growth-oriented and have moved beyond the startup phase by demonstrating a notable increase in revenue or employment. By addressing strategic growth issues, such as identifying new markets and industry trends, refining business models, raising online visibility, and offering access to competitive intelligence, the VEGPP enables high-growth companies to achieve the next level of success. The participating companies in the Virginia Economic Gardening Pilot Program include: Blue Mountain Brewery, Inc. (Nelson County); Blue Ridge Optics, L.L.C. 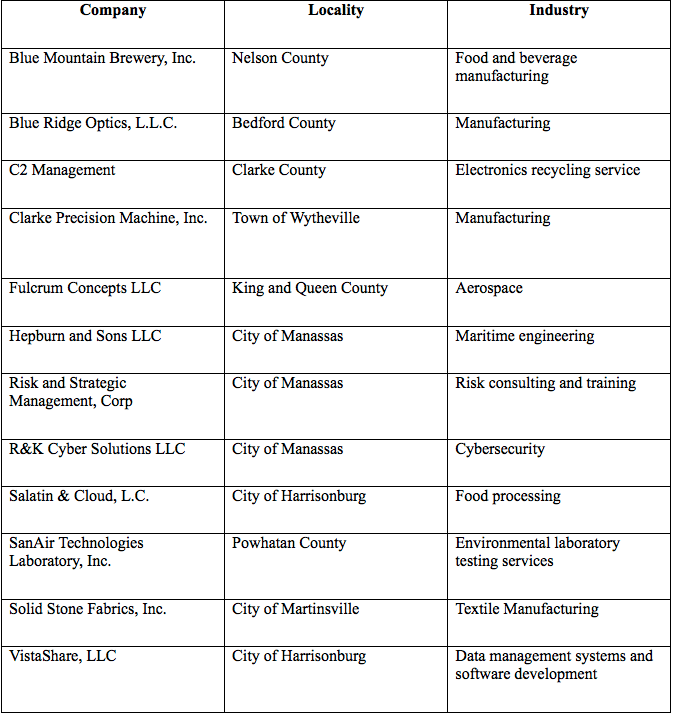 (Bedford County); C2 Management (Clarke County); Clarke Precision Machine, Inc. (Town of Wytheville); Fulcrum Concepts LLC (King and Queen County); Hepburn and Sons LLC (City of Manassas); Risk and Strategic Management, Corp (City of Manassas); R&K Cyber Solutions LLC (City of Manassas); Salatin & Cloud, L.C. (City of Harrisonburg); VistaShare, LLC (City of Harrisonburg); SanAir Technologies Laboratory, Inc. (Powhatan County); and Solid Stone Fabrics, Inc. (City of Martinsville). VEDP partnered with the Edward Lowe Foundation, which hosts the National Center for Economic Gardening, to set up a statewide network to provide each selected company virtual access to its own team of highly skilled research specialists. The research team will devote approximately 36 hours to each company and quickly deliver action-oriented information over the course of a few weeks. VEDP will follow up with the participating companies upon their completion of the six-to-eight-week program to determine its effectiveness addressing the business issues identified by each company during the application phase. Additionally, VEDP staff will monitor the 12 company participants’ increase in revenue and employment over the next 36 months to gauge long-term effectiveness on high-growth businesses and the value in continuing the Virginia Economic Gardening Pilot Program. Afton : Nelson’s First Brewery Opened Wednesday : Blue Mountain Brewery!